At the time, Freddie was a busy man. He worked for a managed service provider as the supervisor for all technical support staff, was the company’s senior network engineer and its security specialist. “As if wearing three hats wasn’t enough, due to a shortage in employees, I was also made the lead network administrator for one of our bigger clients,” Freddie told us. “I had just finished with five minutes to spare, but instead of hitting ‘sign-out’, I accidentally hit ‘shut-down’ on the primary server,” Freddie said. Last month’s Patch Day was not the the smoothest of them all as it had issues that affected all supported versions of Windows. Microsoft released three cumulative updates for Windows 10, one designed solely to fix issues caused by another. The Windows 7 and Windows 8.1 updates had bugs, and the .Net Framework patches caused issues on some systems they were installed on. IE and Edge support the preload=”none” tag. Support for preload=”none” tag. Microsoft lists Edge but that is a copy/paste error. KB4338380 — Windows Server 2008 — An information disclosure vulnerability exists when the Windows kernel improperly handles objects in memory. KB4340937 — Windows Server 2008, Windows Embedded POSReady 2009, and Windows Embedded Standard 2009 — A remote code execution vulnerability exists in “Microsoft COM for Windows” when it fails to properly handle serialized objects. KB4340939 — Windows Server 2008 — A remote code execution vulnerability exists in Microsoft Windows that could allow remote code execution if a .LNK file is processed. KB4341832 — Windows Server 2008 — L1TF variant vulnerabilities update. KB4343674 — Windows Server 2008, Windows Embedded POSReady 2009, and Windows Embedded Standard 2009 — fixes remote code execution vulnerability and information disclosure vulnerability in GDI. KB4344104 — Windows Server 2008, Windows Embedded POSReady 2009, and Windows Embedded Standard 2009 — Remote code execution vulnerability in the Windows font library. Issues caused by the July 2018 Net Framework update — Microsoft is working on a solution. 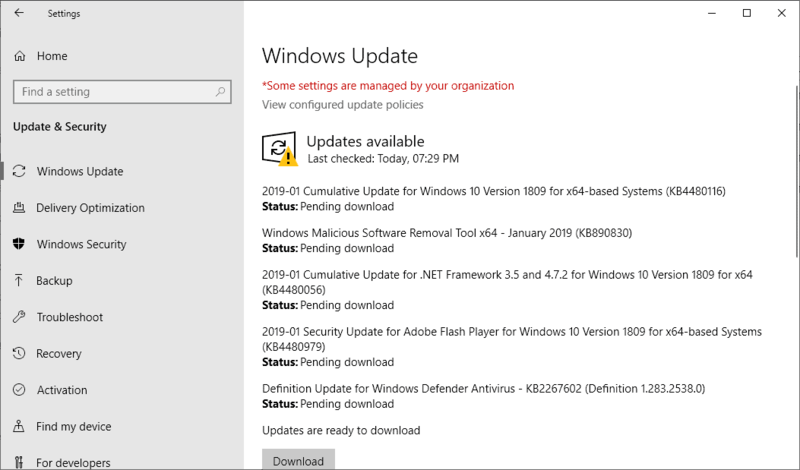 KB4346877 — Update for Windows 10 version 1607 and Server 2016 — Fixes the .Net Framework update issues introduced by the July 2018 .Net updates. 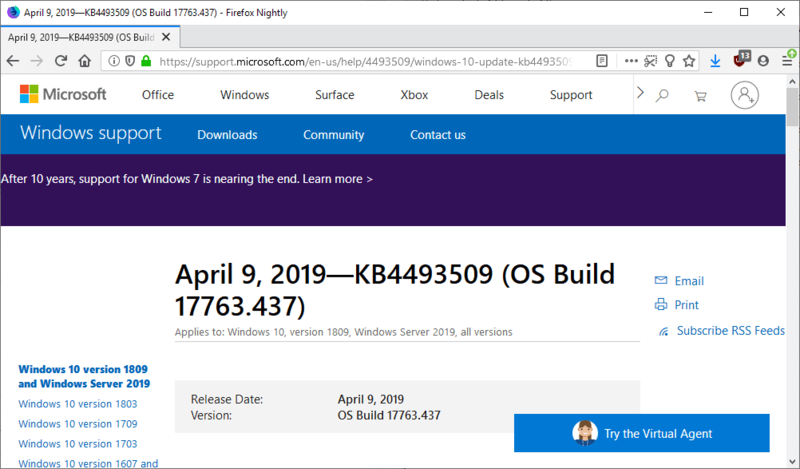 KB4340917 — Update for Windows 10 version 1803 — See our coverage of KB4340917 here. KB4338817 — Update for Windows 10 version 1709 — Lots of bug fixes. KB4338827 — Update for Windows 10 version 1703 — Lots of bug fixes. 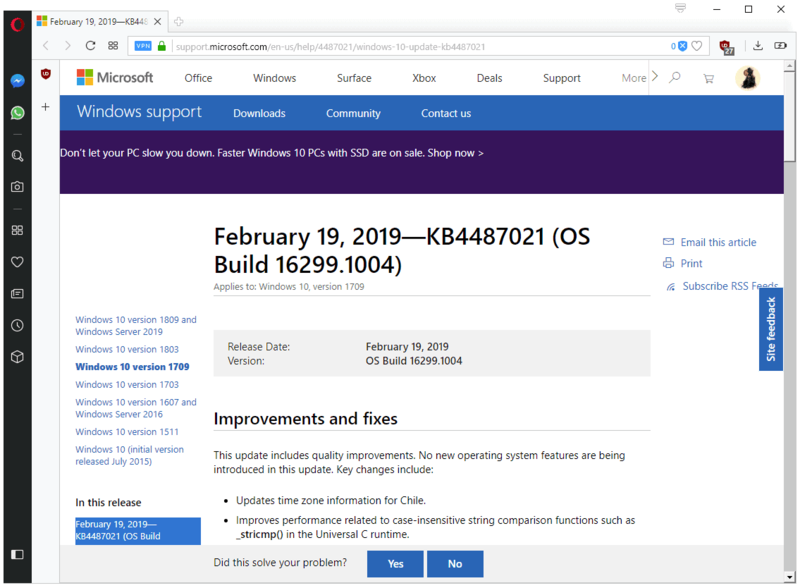 KB4338822 — Update for Windows 10 version 1607 and Server 2016 — Lots of bug fixes. 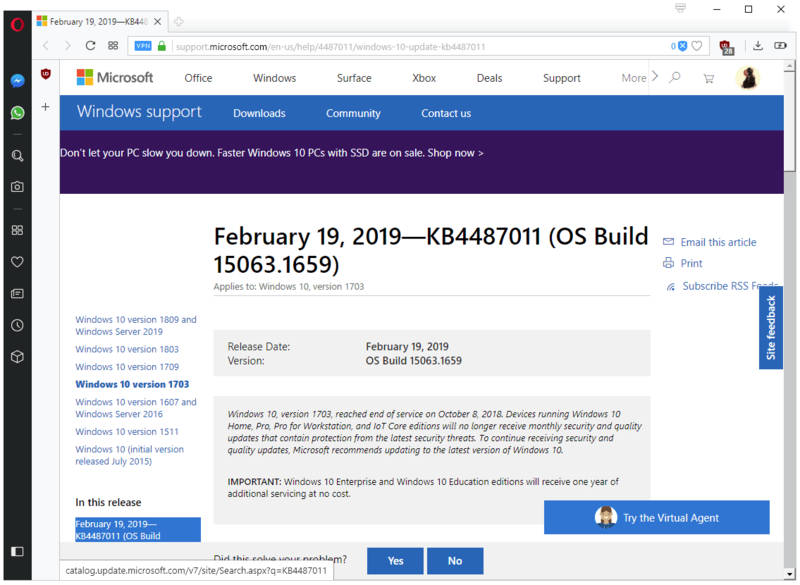 KB4345421 — Update for Windows 10 version 1803 — See our coverage of KB4345421 here. 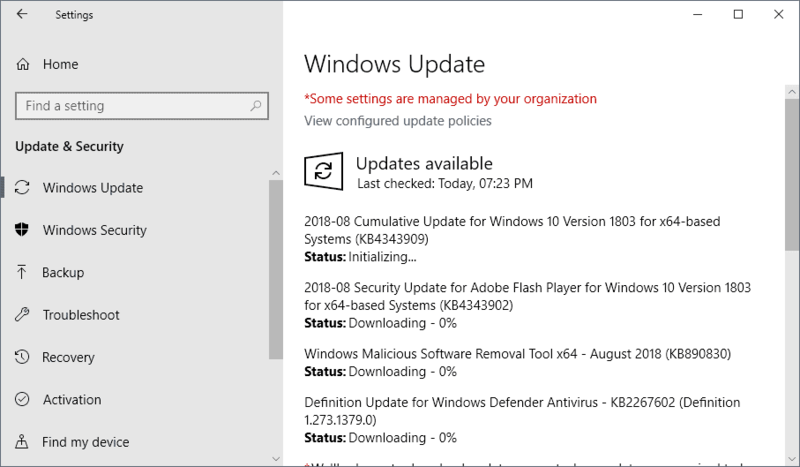 KB4345420 — Update for Windows 10 version 1709 — attempts to fix issues caused by the July 2018 updates. 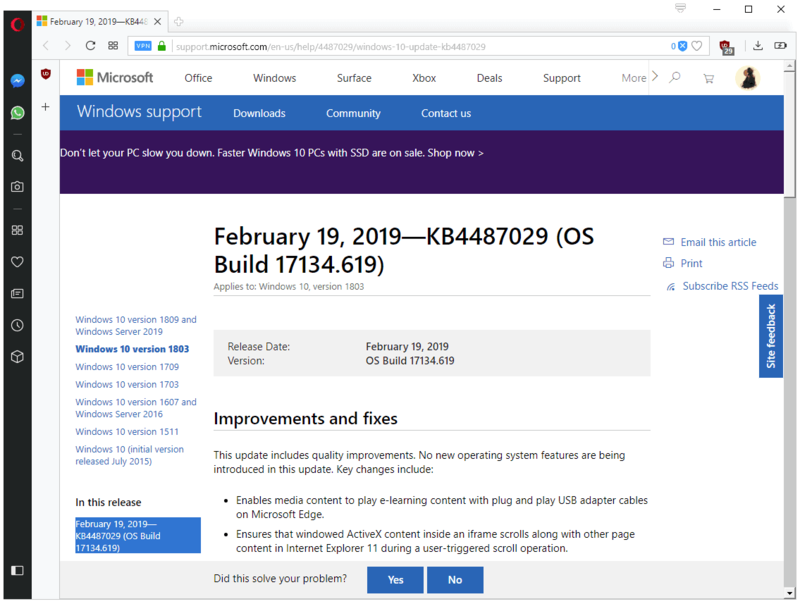 KB4345419 — Update for Windows 10 version 1703 — attempts to fix issues caused by the July 2018 updates. 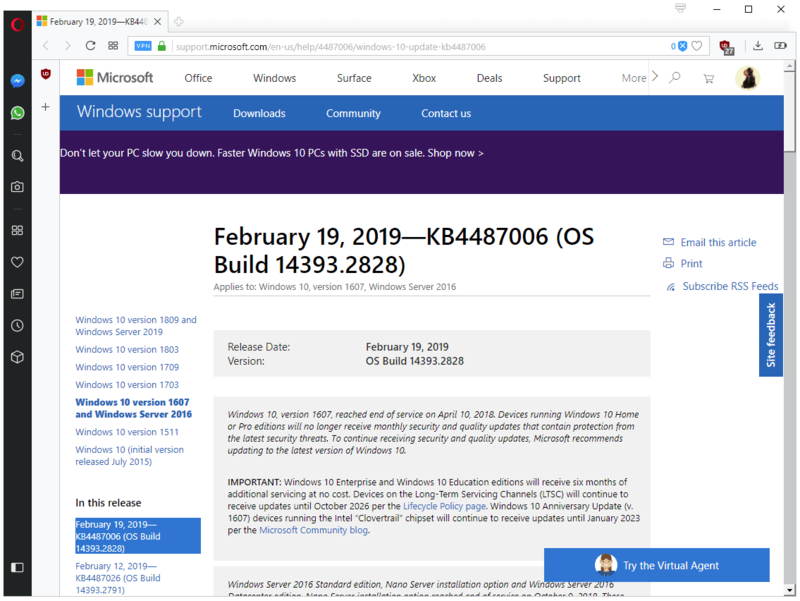 KB4345418 — Update for Windows 10 version 1607 and Server 2016 — attempts to fix issues caused by the July 2018 updates. KB4032233 — Security update for Office 2016 that patches an information disclosure vulnerability. KB4032239 — Resolves information disclosure vulnerability. Enables People Picker control in the Office Document Information Panel. KB4032241 –Resolves various security vulnerabilities in Excel 2013. KB3213636 — Fixes vulnerabilities in Microsoft Office 2010 – CVE-2018-8378. KB4022198 — Fixes vulnerabilities in Microsoft Office 2010 – CVE-2018-8378. KB4032223 — Excel 2010 update that addresses CVE-2018-8375, CVE-2018-8379 and CVE-2018-8382. KB4018310 — PowerPoint 2010 security update that addresses CVE-2018-8376. All cumulative updates for supported versions of Windows are also provided as direct downloads from Microsoft’s Download Center site. Click on Startand search for Program Compatibility Troubleshooter. Do you get the Outlook error when sharing calendar? If you have Office 365 or any other Microsoft Exchange email service, Outlook can be used on the web to share your calendar with others in and outside of your organization. Depending on the permissions given, others can only view your calendar, edit, or act as your delegate for meeting requests. The Outlook error when sharing calendar can happen due to configuration or permission issues. Some users have reported that removing current permissions besides the Default and Anonymous resolves the issue. However, if the error persists, repair Office from Control Panel, and if it fails, download and run the Microsoft Office Configuration Analyzer tool 2.2, which analyzes Office programs for known configurations that can cause issues. If you don’t have the option to share your calendar (maybe it is grayed out), it can also be because your network admin or IT support set a policy preventing calendar sharing among people in the office. Fortunately, there are ways to fix the Outlook error when sharing calendar as listed below. Outlook won’t share calendar, how do I fix that? Also, if you are using an Office 365 account in your Outlook 2016, you can try sharing the calendar in Outlook Web App (OWA). Were you able to resolve the Outlook error when sharing calendar? Let us know in the comments section below.